The Honorable Deron Bilous, Minister of Economic Development and Trade is EDA’s Honorary Patron. 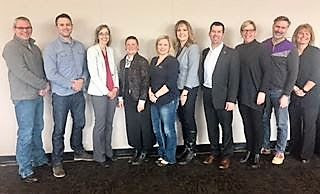 On March 23 Economic Developers Alberta (EDA) presented its annual Awards of Excellence during its 2017 Annual Conference at the Banff Centre in Banff, Alberta. These awards honour Alberta individuals for their contribution to the profession; as well as Alberta communities for excellence in: Business and Investment Attraction (BIA); Business Retention and Expansion (BRE); and Community Economic Development (CED).